A Framing nailer or a nail gun is a high power tool used to drive nails into wood or other materials. This is a quick and efficient tool if used correctly. It is used on large work sites and even in households for tasks as simple as putting a shelf together. It is essential to use the framing nailer with utmost safety and precaution because in the wrong hands the tool can be very hazardous. 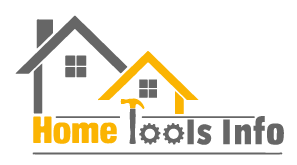 What type of Framing Nailer is for you? Pneumatic framing nailers use the principle of compressed air. An air compressor is attached to the framing nailer. The compressed air is used to push the piston which drives the nail out of the tip and into the wood. It should be noted that the compressed air is provided by a lengthy hose, so sufficient room is required to use the pneumatic framing nailer. 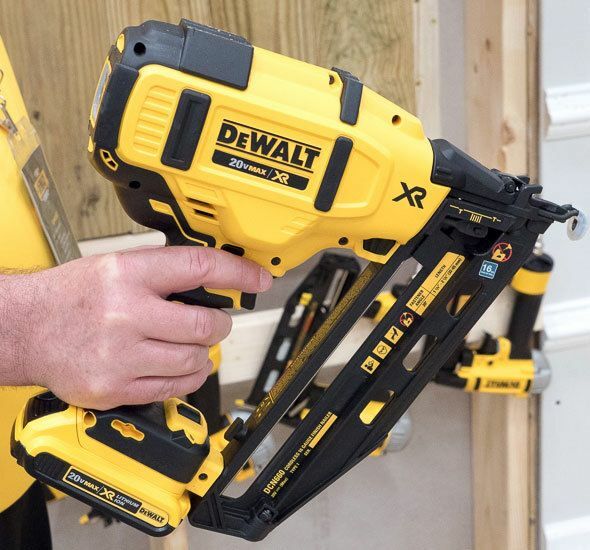 Cordless framing nailers use a similar principle to the pneumatic framing nailers but with a noticeable difference, the compressed air isn’t supplied by an air compressor but a canister filled with compressed air. The canister is attached to the framing nailer and needs to be changed, as it can only drive a predetermined number of nails out of the framing nailer. A battery is also required to activate the charge to help drive the nail. Buying a framing nailer should depend on the type of work you are doing. If it is a small scale job a cordless framing nailer would be sufficient as it is easy to use and doesn’t take up much space. On the other hand, it can prove quite costly as the canister has to be changed after a while, so for large-scale projects, the pneumatic framing nailer would be suggested. The best framing nailer to use would usually depend on the type of project you have at hand. As a framing nailer can be a very effective and important tool it can also be very dangerous if not used properly and safely. Therefore it is very important to learn how to properly use this tool.Now a framing nailer has a large cylindrical container that contains the nails. This cylindrical container is placed directly above the nail tip from which the nails exit the framing nailer. The tip has a special safety feature, it has to be depressed against the wood before the trigger can be activated and a nail can exit the framing nailer safely. Whilst firing the nailer alignment is essential. The cylindrical container and the tip of the nailer must be aligned in a direction to which you are to fire the nailer. So if the wood is laying horizontally, place the nail gun down horizontally on the wood with enough force so that the tip is depressed, also make sure that the alignment of the cylindrical container and the tip is in the right direction. The pull the trigger and allow the nail to embed into the wood. If you require the nail to be embedded further or less into the wood you can adjust the depth adjustment on the nailer. Toenailing is a slightly advanced technique of nailing. It is used to connect two pieces of wood at a 90-degree angle. It has been suggested in many cases that the best place to place the framing nailer is at a 60-degree angle at about ¾ inches from where the two wood boards meet. After the position is located the trigger should slowly be pressed allowing the nail to fit into position. There are also two types of triggers, one being the standard single fire trigger, which from its name suggests that it fires a single nail on a single trigger. The other is the bump fire trigger, here you hold the trigger and bump the tip against the wall to embed the nail into the wood. Now keep in mind that the bump fire trigger is faster but with the standard single fire trigger you have more control.Again due to a small difference in pros and cons it’s hard to decide on which type is the best framing nailer. You have to be equally careful using the power tool no matter what type it might be. Also, other things to keep in mind whilst using a framing nailer is that the tip should never be disabled, without the tip a framing nailer could be as dangerous as a handgun. It is also advised to use both hands to avoid misfiring of nails.